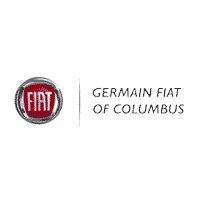 When you're shopping for a high-quality used FIAT for sale, look no further than Germain FIAT in Columbus! We have a rotating pre-owned selection of everything from the infamous FIAT 500 to the larger FIAT 500X in stock, and plenty of options from other popular brands you'll see on Columbus roads. When you shop for a pre-owned FIAT with us, you'll never have to fret about quality, as we thoroughly inspect each and every vehicle we receive. Why Buy a Pre-Owned FIAT? Everyday drivers and experts alike have applauded FIAT vehicles year after year, giving high praise to models like the 500. What does this mean for you? Even if you opt for a pre-owned FIAT 500 from, say, the 2014 model year, you can rest assured you'll be investing in a zippy, fun vehicle that FIAT is known to produce, with up to 101 hp and top-notch fuel economy, earning an EPA-estimated 31 mpg on Columbus streets and 40 mpg on the highway. When you're ready to take the next steps, contact us to set up a test drive in any one of our FIAT used cars, or other brands, that catch your eye. Before you stop in, make sure to peruse our pre-owned vehicle specials to increase your savings!